Excessive Smoking And Drinking May Boost Atrial Fibrillation; Eat These Heart-Friendly Foods! According to a study published in the journal The BMJ, smoking and alcohol consumption increase lifetime risk of a rapid and irregular heart rate, called atrial fibrillation that can lead to a stroke, dementia, heart failure and other complications. The results showed that among individuals aged 55 years or older, the overall lifetime risk of atrial fibrillation was 37 percent and was influenced by the burden of lifestyle risk factors such as smoking and drinking alcohol. 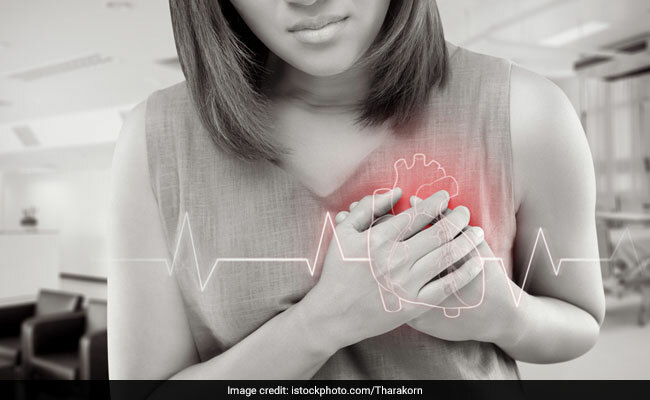 According to the researchers, they examined the lifetime risk of atrial fibrillation that measures the cumulative risk of developing a disease during the remainder of an individual's life. As per the researchers, it is essential to look at lifetime risks in addition to short-term risks, because it may enable early identification of individuals at higher long term risk and facilitate lifestyle change counselling. For the study, researchers involved 5,000 participants who indulged in smoking, alcohol consumption and other parameters like body mass index, blood pressure, diabetes and history of myocardial infraction or heart failure as risk factors. Atrial fibrillation is referred to as an irregular, often rapid heart rate that commonly causes poor blood flow. Your diet can help ensure a healthy heart and a healthy life. We suggest some heart friendly foods that you should add to your daily diet. Fibre is the number one nutrient for protection against heart diseases. Most fibre rich foods are known to reduce the risks by improving blood lipid profiles, lowering BP, improving insulin sensitivity, reducing inflammation and helping maintain a healthy body weight. Include whole grains, nuts and seeds in your diet. The foods rich in omega-3 fats help decrease inflammation, prevent blood clotting, lower LDL cholesterol and have a positive effect on the heart's rhythm. Switch to vegetable oils, walnuts, flaxseeds, fish, et al. Folic acids are known to reduce the risk of stroke by 12 percent by lowering homocysteine, an amino acid that is linked to hardening of arteries. Include more spinach, amaranth, mint, Bengal gram and green gram in your diet. It is an antioxidant that provides tomatoes their red colour. This antioxidant is known to lower blood pressure and C reactive protein, a marker of cardiac inflammation. Consult a doctor before switching to any food or diet.